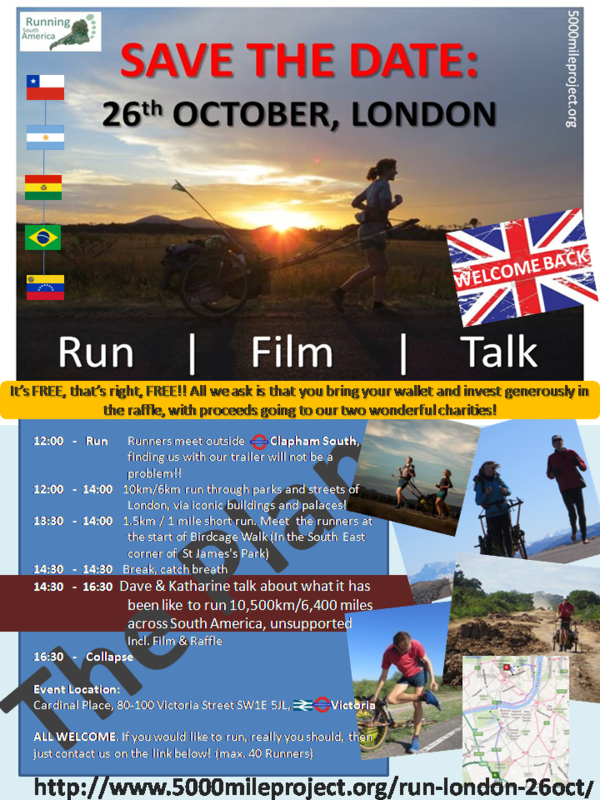 There will be a vehicle to take a small bag of clothes etc from Clapham South to the Talk Venue in Victorie, where the runners will meet. Please don’t make it too big a bag! The run will be run in ANY weather, at least 2 people and a trailer will complete it!!! We will be running slowly, not more than 6 mph with breaks to keep the group together. If you want to run faster, be our guest but the event won’t start any earlier!! We can run up to Buckingham Palace if you like, no harrassing the beefeaters though!! 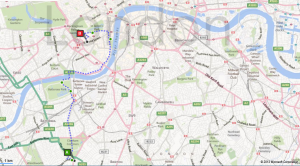 There will be a vehicle to take a small bag of clothes etc from the meeting point to the Talk Venue in Cardinal Place, where the runners will meet. Please don’t make it too big a bag!